The 42nd Annual George Holliday Memorial Junior Golf Tournament, named one of the top junior tournaments by the Heritage Classic Foundation, returns to Myrtle Beach, S.C. November 25-27, 2010. The entry fee is $145 and includes three rounds of golf at Myrtle Beach National, or $89 for nine holes all three days for players nine years-of-age and under. The George Holliday Memorial Tournament is the third-oldest junior golf tournament in South Carolina and is open to junior golfers up to the age of 18, who compete in three rounds at Myrtle Beach National’s SouthCreek, West and King’s North courses. The boys’ division consists of four age levels: 10-11; 12-13; 14-15; and 16-18 years-of-age. There are three age brackets in the girls’ division: 10-12; 13-14; and 15-18 years-of-age. All golfers who are 18 must still be enrolled in high school to participate. There will also be a nine years-of-age and under division in which younger golfers will only play nine holes each day. Boys 14-18 will play from the back tees and are eligible for the overall championship. Girls 13-18 will be eligible for the girls’ championship. The junior championship is held in memory of George Judson Holliday, III, of Galivants Ferry, S.C., who won many junior level and collegiate tournaments before dying at the age of 22 in November 1967. More than 10,000 juniors have visited the Myrtle Beach area to participate in this tournament over the years. The event has hosted numerous junior golfers who have achieved success on the professional and the collegiate level including PGA TOUR and LPGA golfers Lucas Glover, D.J. Trahan and Kristy McPherson; former collegiate golfers George Bryan IV (South Carolina), Sam Lyons (Coastal Carolina) and Cimmie Shanan (Furman); and current collegiate players Jacob Burger (Clemson) and Tripp McCallister (Coastal Carolina). In recent years, the tournament has welcomed participants from states and foreign countries including Colorado, Florida, Georgia, Illinois, Maryland, New Jersey, New York, North Carolina, Ohio, Pennsylvania, South Carolina, Tennessee, Virginia, West Virginia, Puerto Rico and Canada. The George Holliday Junior Golf Tournament is limited to the first 250 golfers. For more information, or to register for the event, contact Myrtle Beach National at (800) 882-2614 or visit MBN.com/holliday. The Myrtle Beach National (MBN) Company has evolved into one of the leading golf course ownership and now management companies in the Southeast, featuring many of the most well-respected signature courses along the Grand Strand. The company was formed in 1971 with the construction of the Arnold Palmer-designed original 54-hole golf complex, which includes the West Course, SouthCreek (both designed by Francis Duane and Arnold Palmer) and King’s North, also an Arnold Palmer design that has achieved national notoriety. 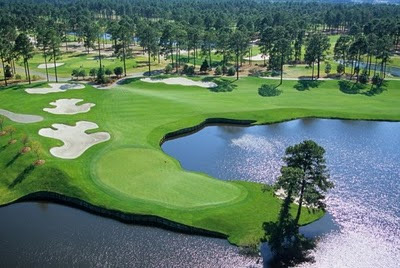 Myrtle Beach National has grown to include the Robert Trent Jones designed Waterway Hills, Jack Nicklaus’ Long Bay, Tom Jackson’s River Club and Aberdeen Country Club, Dan Maples’ Willbrook Plantation, Willard Byrd’s Litchfield Country Club, Gary Player’s Blackmoor Golf Club, Clyde Johnston’s Wachesaw Plantation East, and Jeff Brauer, Larry Nelson, Willard Byrd’s Wild Wing Plantation and Jack Nicklaus’ Pawleys Plantation, all premier Myrtle Beach area signature courses. Myrtle Beach National has hosted tournaments for men, women, senior or junior golfers for more than 35 years to help grow the game of golf. Every November, Myrtle Beach National-sponsored George Holliday Memorial Tournament, recently named one of the top-ranked junior tournaments by the Heritage Classic Foundation, draws more than 400 prep golfers to the Grand Strand. During the spring, Myrtle Beach National welcomes more than 150 junior golfers to the area during Easter weekend for the Myrtle Beach Junior Golf Shoot-out Tournament. In the fall, Myrtle Beach National welcomes women golfers and couples to the Grand Strand for “The Carolina Couples Classic” and “Just Girls Weekend.” For more information, visit MBN.com or call (800) 882-2614. We pride ourselves on our originality – in our work, our ideas, our individual personalities. We are a mesh of individual originalists who come together for one purpose – to ensure the success of our clients. We do this with grand ideas, collaboration between all departments and a trust in each other’s abilities and expertise. As individuals, we can only do so much, but as a group, an unwavering unit, we are so much more. For more information visit The Brandon Agency. SC Golf covers golf related news and events across our beautiful state, writes product reviews, and features a new Lady Golfer each week. In addition, SC Golf does regular drawings and giveaways as a way of saying thank you to our friends, fans, and all those that support SC Golf! The best part is that SC Golf is FREE and everyone is welcome! SC Golf needs you! SC Golf is looking for writers. Email SC Golf for a chance to get your stories, golf tips, and favorite golf memories featured on SC Golf. SC Golf is also building a data base of all those interested in a FREE golf news letter published by SC Golf. Email SC with your name, city and state, handicap, and say I am interested in a FREE monthly news letter! Visit SC Golf (scgolf.info) on facebook: SC Golf. Press release written by my friend, Phil Werz, at the Brandon Agency in Myrtle Beach, SC.